As one of the best brand names in the stone industry, Disco products are renowned for their top performance. 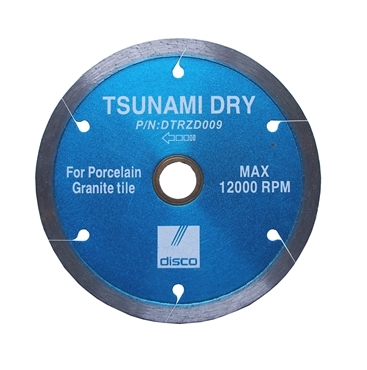 This 5" continuous rim porcelain and granite tile blade is no exception. Its rigid core, premium diamond ensures fast cutting, chip-free, and long life.